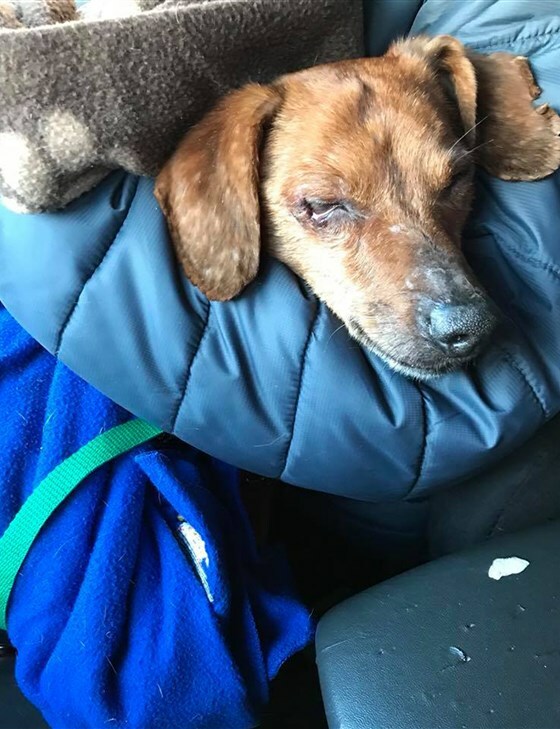 A dog, now named Thor, was dumped in a duffel bag with his bed and tennis ball, and abandoned in a Staten Island, New York park in freezing temperatures. 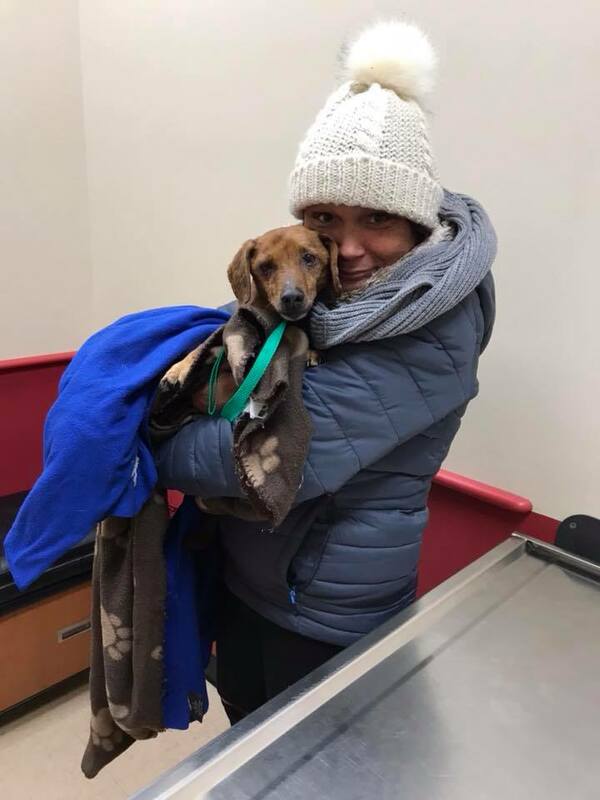 It was 2 p.m. on New Year’s Eve day when Melissa Chapman received a text about a dog who was found zipped inside a duffel bag. The person heard the dog barking and quickly unzipped the bag to help him. The scared dog leaped out of the bag and ran off, and the person was unable to find him. Chapman got help from other local animal rescues and they set out to find this poor pup. After about an hour of searching, they finally found him. It was obvious that he was terrified and untrusting of humans, as he snapped at rescuers. They spent the next hour and a half of holding out pieces of hamburger to try and convince him to come near them. 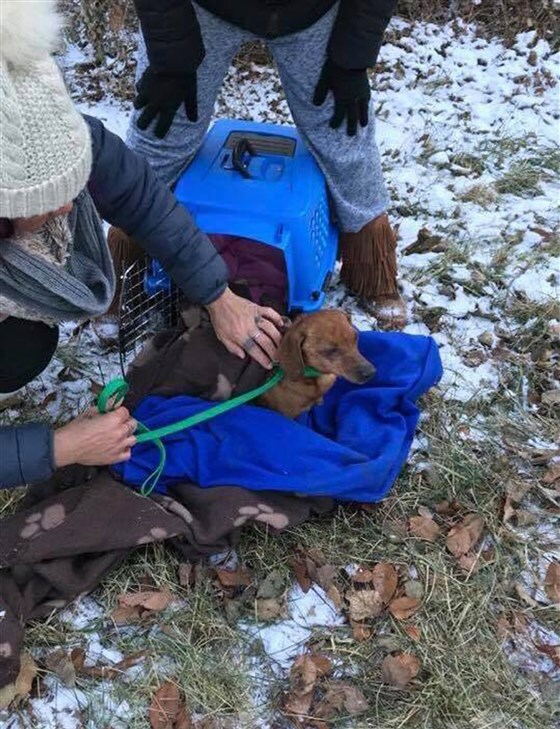 Once he was close enough, Doreen Murphy, a volunteer with Fur Friends in Need, quickly picked him up and wrapped him in blankets to keep him warm. He eventually calmed down once he knew he was safe, and even licked Murphy’s face. They immediately took him to the vet, and he slept on Murphy’s lap the whole way there. It was clear that he was exhausted and so relieved to finally be safe. The vet estimated Thor to be around six or seven years old. Thankfully, he was in decent shape, aside from his eyes and hind legs, which could get better with the right care. Murphy agreed to foster Thor, who is now doing much better. He’s eating well and even gets along with all of the other dogs there. Once he has gotten all of the veterinarian care he needs, he will be available for adoption. Thor is a very sweet and friendly pup who loves to snuggle. Whoever ends up adopting him will be one lucky person/family!